I love Christmas. I love everything about it. I love that baby Jesus was born to save us all, I love the decorating, the family time and all the yummy holiday goodies. My favorite goodies include Christmas cookies like butternut snowballs, traditional sugar cut-out cookies with frosting and peanut butter cookies with a Chocolate star or kiss in the middle. Problem is once Christmas and all the holiday parties have passed, I usually have overindulged big-time. As I get older, I do seem to get better but still it can be a problem. I am on my 3rd week of dieting on my CHOCOLATE PROTEIN SHAKE DIET. I am doing pretty good. So far I am down 5 1/2 pounds. I figure I would rather lose a few pounds a week and not have to worry about excess stretched out skin. Just like the Tortise in the Tortise and The Hare story, “Slow and Steady Wins the Race.” That is how I am focusing on my diet. Slow and steady wins the race. If you are looking to finally get in the best shape of your life, make sure you choose a healthy option. Just losing the weight is not good enough. You want something good for you and lose the weight. My chocolate diet was featured in the physician journal for Bariatric doctors called the “Bariatrician”. It included the study that showed an average weight loss of 31 pounds in just 12 weeks and loss of over 5 inches around the waist. am replacing breakfast and dinner. I have been going out to lunch some days and others making a healthy hearty lunch of grilled chicken, rice and veggies as an example. I also have been having Healthy chocolate squares for cravings and drinking lots of water. Except for last week I had been walking twice a day in my neighborhood. Now I have my Wii Fit ready so I can at least get some exercise in the house. The best thing is that I feel like I have more energy when I take this shake. If you are looking for a healthy way to reach your weight loss goals. I highly recommend you check this out. There is a reason your mom always told you to eat your fruits and vegetables. They are good for you! 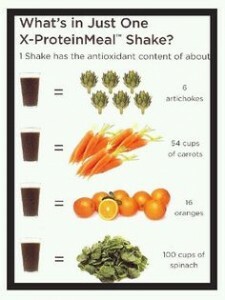 Antioxidants and flavonoids in this shake along with whey protein isolate make this shake a superior option. If you want to jump in with both feet, I recommend ordering the Associate Weight Loss Pack. It gives you 6 boxes of the shake and the Radically Free CD that walks you through the weight loss plan featured in the Bariatric Journal. This is giving you 2 FREE BOXES of the ShAkE. When you order 6 boxes of the shake, you have enough to last you 6 weeks replacing two meals. I also recommend ordering a box of your favorite chocolates. My favorite is the Xobiotic and the Nugget. The key is to have one whenever you have a craving and 20-30 minutes before your healthy meals (not shake). This will curb your appetite. If you want to start smaller, check out the RIPPED & RICH PaCK. 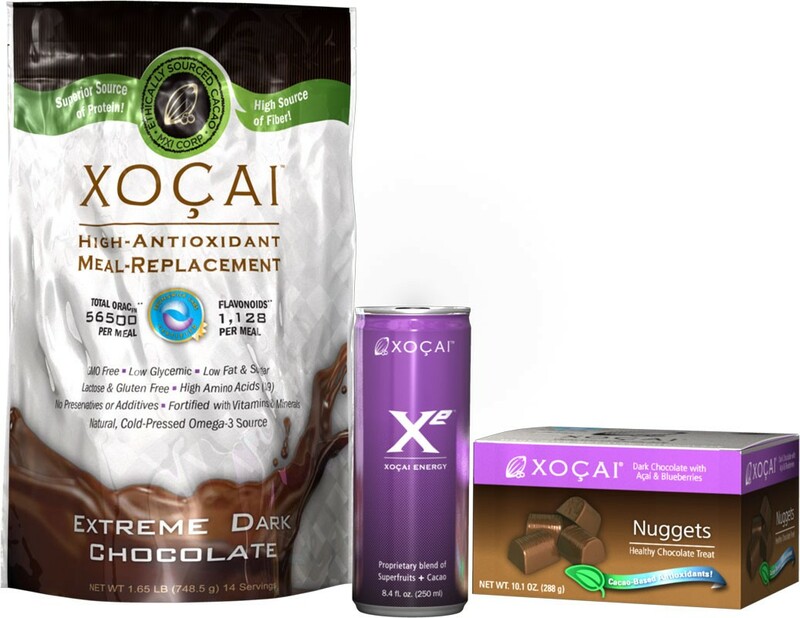 This includes the shake, the Xe healthy energy drink and Healthy Chocolate Nuggets for cravings! Wait til you see how easy this is. I struggle with weight loss, partly because it is genetic and partly because of thyroid issues so seriously even if you struggle losing the weight, this is worth a try. You will love it. I am Lynette Henk of Three Sons Marketing LLC. Email message me at [email protected] if you would like free chocolate diet recipes in your inbox. You can also call 941-216-5727 with any questions or to place an order. Visit us direct at CHOCOLATEDREAMDIET.COM.